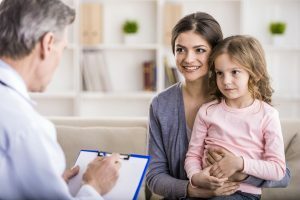 If you’re looking for a family care practice in Newport Beach, California, that will treat you compassionately and competently, turn to the professionals at Vital Urgent Care. No matter what you are seeking a primary care doctor for, whether to maintain good health or receive treatment for a chronic condition, our outstanding physicians are happy to work with you to help you meet all your health goals. Doctors Khazaeizadeh and Sedarati can provide nearly any type of primary care service Newport residents need, such as annual physicals, well-woman exams, health screenings, minor office-based procedures, and more. Furthermore, our location is also a walk-in immediate care clinic, so in the event you have a condition that you would like treatment for the same day, such as an eye infection or a sprained ankle, you can walk in and receive treatment from the same caring and knowledgeable staff that already knows you and your medical history as your primary care office. To schedule an appointment with the family care practice at Vital Urgent Care, contact us today. You can also walk in to our convenient Newport Beach, CA, location to receive immediate treatment for a non-life threatening injury or illness.